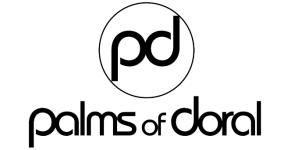 Welcome to the Palms of Doral! The Palms of Doral offers uncompromising quality and attention to detail. Each apartment home envelopes the comfort and style you deserve in a home. Crown molding, Berber carpet, and oversized walk-in closets are just a few items from our long list of amenities. Our central location allows easy access to major thoroughfares, downtown Miami and the Miami airport.